Hidden beyond the harbor on the other side of Ifach in Calp is a pristine white sand beach known as Calpe Playa de la Fossa. The crystal-clear azure waters are great for swimming as well as snorkeling. During summers, there are often large inflatables available on the beach for the kids to play on. If swimming is not your thing, then a simple walk down the promenade, which is lined with a horde of cafes and restaurants which serve local Spanish food, is sure to please the tourists. Visitors can also rent a lounge chair and sunbath on the beach. Make your visit suitable to your interest, use Calp trip planner for personalization. Book perfect hotels in Calp like Hotel Porto Calpe, Aparthotel Residencial Vidalbir, Apartamentos Benitachell and Alborada Golf. Generate executable plans on your own or book the top rated Calp vacation packages for your visit. Read more on how to reach Calp. Love this? Explore the entire list of places to visit in Calp before you plan your trip. Fancy a good night's sleep after a tiring day? Check out where to stay in Calp and book an accommodation of your choice. How popular is Calpe Playa De La Fossa? 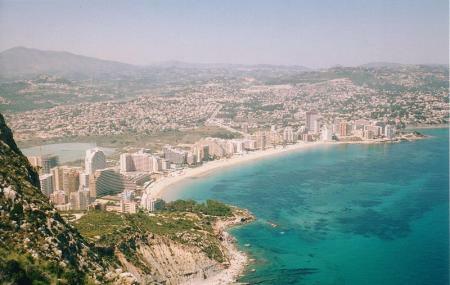 People normally club together El Portet, Moraira and Mundomar while planning their visit to Calpe Playa De La Fossa. At this time of year (early April) it was lovely, plenty of nice shopping not just the holiday tat! Bars and food were good and people/staff friendly. Beach front clean and a nice walk along the promenade or by the sea to two bays of Calpe. 2 nice beaches in Calpe. This is one. Good promenade, cafes, restaurants, sunshine most of the day and easy swimming. Sun umbrellars and chairs available for hire. Bring your bucket and spade!